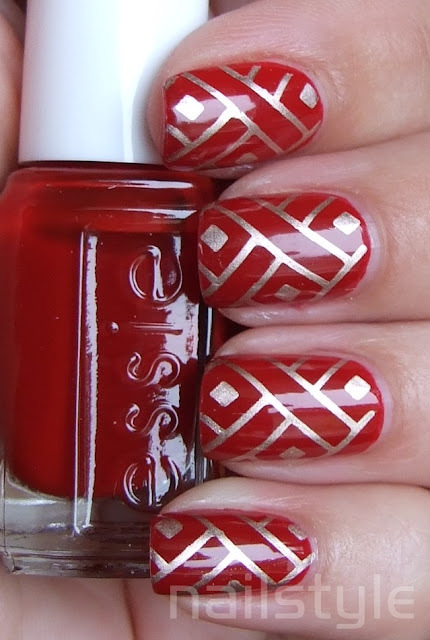 Todays polish is a gorgeous, racy, garnet red creme from Essie called Limited Addition. It's an amazing formula that goes on like butter and is opaque in two coats. I've been dying to try out these new plates I got from Ebay - this one is called QA16 and I bought it from samuelwsk333. I'm unsure who makes them but they do sell individually. I get crazy with these plates, all I want. This is so clean yet dramatic! 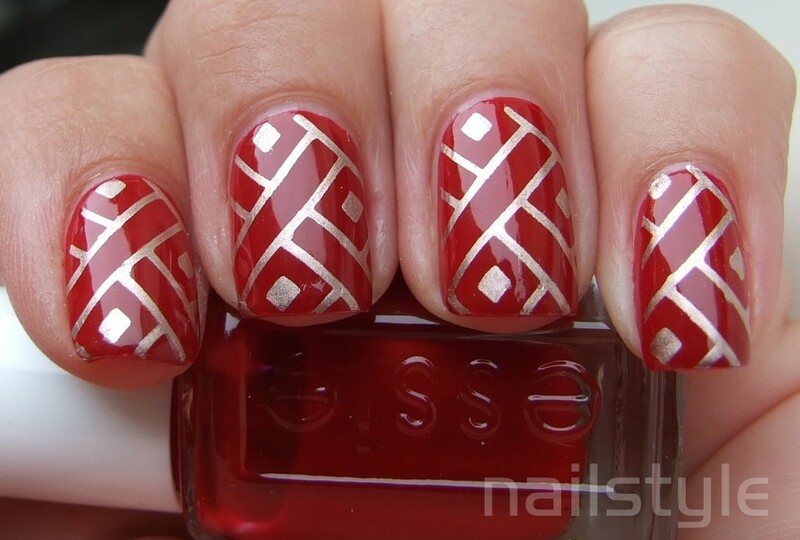 I really like this plate image and the design looks fantastic on your nails! These are awesome. The stamping is so perfect! Wowza, this is amazing! Your stamping lines are so incredibly clean and crisp. Really beautiful combination with the red and gold, too. Thank you for sharing this! 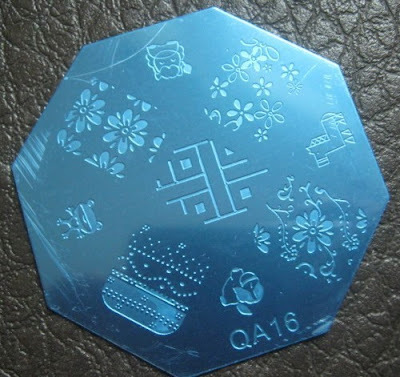 Your stamping is perfect~! This is so pretty! This looks incredible!! I am absolutely dreadful at stamping, I wish I knew how you did this so well!